Interested in Booking More Intimate Weddings? Read This. Intimate weddings offer the chance to celebrate your love in a private, emotionally-charged ceremony. 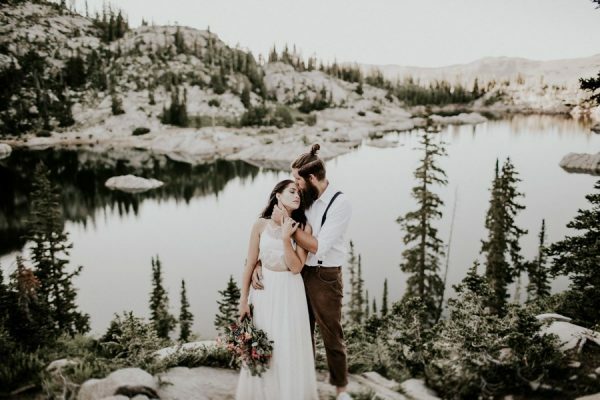 Today, more and more couples are deciding to opt out of the large, traditional wedding for the chance to escape the stress and expense in exchange for a low-key, intimate affair. 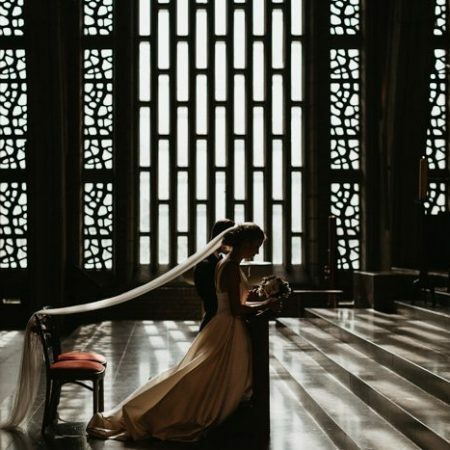 This transition away from larger weddings has opened up a new niche in the wedding market for wedding photographers, and there is now a growing trend for photographers to market themselves as intimate wedding photographers. 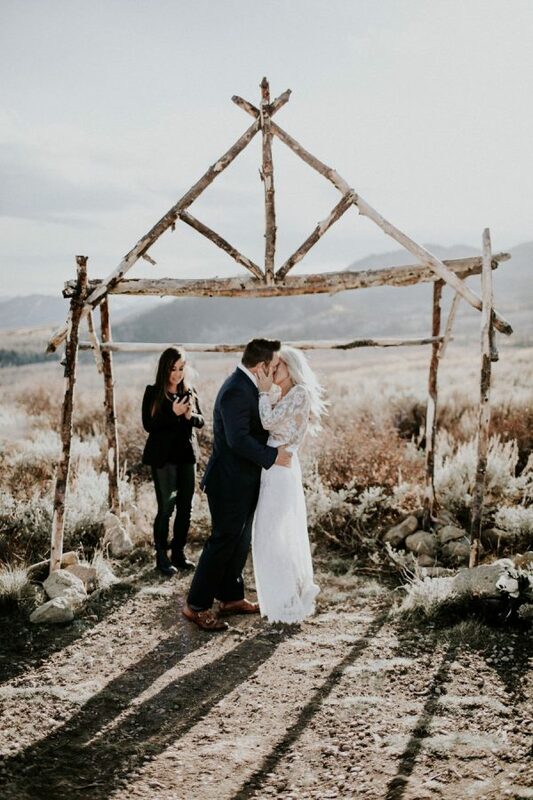 Today, we have Kandice Breinholt, an intimate wedding photographer based in Utah, here to discuss why she has chosen to stay away from traditional weddings and devote her business to intimate weddings and elopements. Do you think more couples are deciding to go small versus planning large weddings? If so, why do you think that is? I can’t really say that more couples are choosing small weddings over large than ever before – I assume intimate ceremonies have always been appealing to many for various reasons. However, I do believe these small weddings are being showcased more frequently and couples are seeing how others have chosen to tie the knot and imagine themselves celebrating similarly. 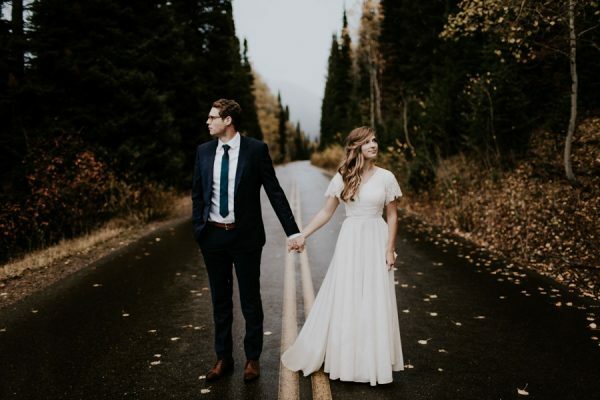 I think small weddings and elopements appeal to so many because they are now seeing that they can personalize their wedding day in a meaningful way–a way that has everything to do with who they are as a couple. They then choose to share that union with those who regularly and directly support them. Keeping it intimate in this way allows for emotions to be felt, seen, and appreciated. With the help of photographers and their ability to tell an emotive story through imagery (as well as the occasional impassioned written opinion on the matter), couples see and hear of weddings that aren’t rushed but are savored, aren’t full of arbitrary tradition but are an intentional manifestation of a couple’s unique relationship, and aren’t spent pleasing a bunch of family members no one really knows and are, instead, spent celebrating with dearest and closest loved ones. The other practical side is, of course, the added bonus of saving the money they would have spent on throwing a huge, expensive party for everyone they know and applying that [often exorbitant] amount of money to a rad honeymoon (or literally anything else… something that will last longer than that one day and perhaps benefit their relationship and new life together). What are the pros and cons of photographing smaller weddings versus larger weddings? I honestly cannot come up with a con of photographing small weddings so I’ll just jump right into the pros. 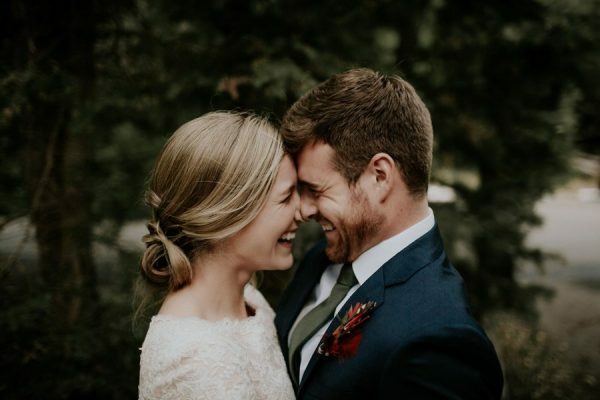 Without a doubt, I – as the photographer – can connect with my couples in a more valuable way. For one thing, our photography ideals align. 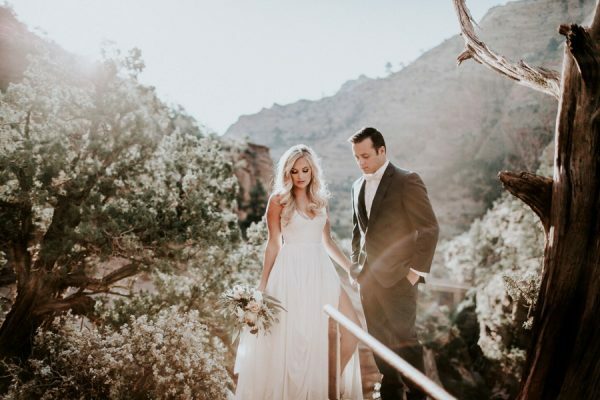 Chances are, we already connect artistically – I want to capture a story of spontaneity, romance, adventure, and intimacy and they want their spontaneous, romantic, adventurous, and intimate day captured in a meaningful way. We also connect emotionally. I feel strongly about photographing these types of weddings and my couples value and share that passion. It allows for us to create art together and I don’t leave feeling like an anonymous vendor or stranger. It feels like an experience; every single moment has purpose; nothing is forced nor contrived. How have you marketed yourself to couples differently? I make a point to only share work that will attract the kind of couples who want the kind of wedding experience that I want to shoot. 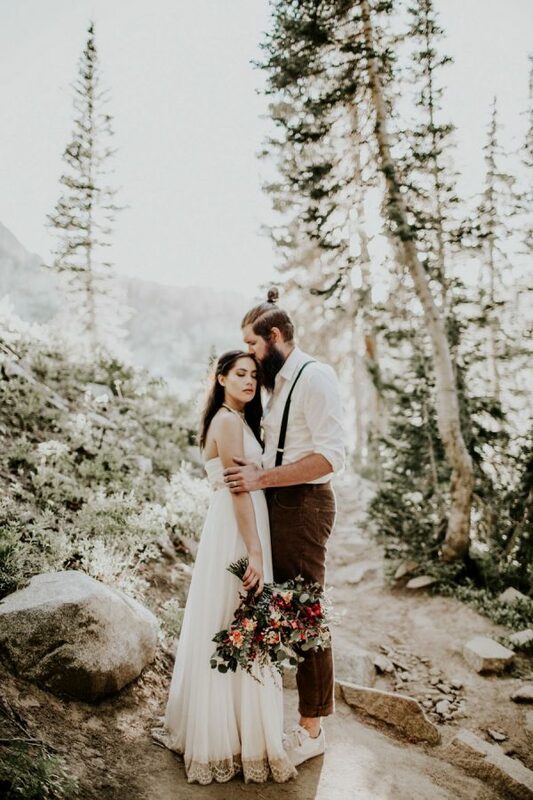 On both my website and Instagram, I write a great deal about my feelings toward intimate weddings, openly question and dismiss most wedding traditions, share the inspiring wedding stories of others, and also share a bit about my own passions and beliefs in hopes of attracting couples who will connect emotionally to what I’m all about and to what I offer. Do you still photograph larger weddings or do you turn them down and exclusively shoot intimate weddings? I take on the occasional larger wedding if the couple is excited about me and my work and I’m equally as excited about them and their wedding plans. It has to be the right fit. But, yes, for the most part, I limit my photography services to intimate weddings and elopements because that is where my passion lies and where my introverted, observant self-feels most creative and comfortable. What is one piece of advice you would give to photographers interested in booking more intimate weddings? Through various social media platforms, tell potential clients that you identify with and want to shoot intimate weddings. Then tell them why. Tell them again. Keep telling them. If you aren’t booking intimate weddings just yet, set up a few styled shoots and then showcase that work. Keep sending out that virtual signal and the right couples will eventually find their way to you. Massive thanks to Kandice for sharing her insight. If you’re not following Kandice’s work on Instagram, be sure to give her a follow! Love this & love shooting intimate weddings as well! Definitely want to shoot more of these in amazing places all over the world! Love this post! 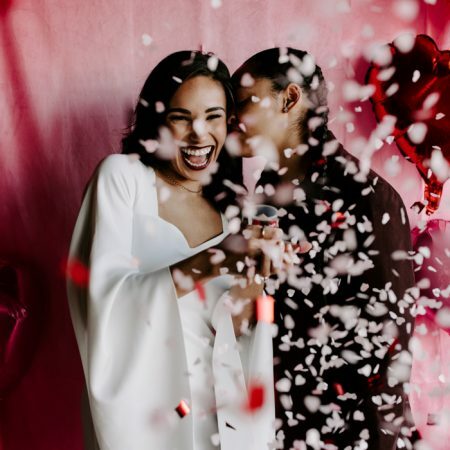 Once you read this you’ll be convinced that small intimate wedding ceremonies are much better not just in terms of expenses but also in personalizing your own wedding day moments. Im trying to target small intimate weddings too. Makes so much sense and i love the vibe of the ones i have don thus far. great post. Such a great article. I’m already starting to rethink my portfolio!